It is our greatest pleasure to write about our experience with the Fournier family, or should I say the Fournier team. We decided to sell our home to move to a better and beautiful neighbourhood of Oakville, and contacted Wilma to get some advice and help for the sale of our home, and move closer to our daughter who also sold and bought through the help and guidance from Wilma. We were amazed with the response, the effort, and the hard work the whole family offered. Wilma Fournier, Guy Fournier, their son Kirk, and daughter Holly, worked many hours guiding us, explaining many positive and negative aspects which we were not fully aware of, and at the same time understanding our needs and wishes in making evrything work to our advantage. And not theirs, that is what we were expecting, and it was exactly how it all happened. Right from the start we felt embraced as part of the family, making us feel confident as well as comfortable. They went out of their way to make sure we were well looked after in every way, I would contact them for immediate help, and they were there, with full attention and great wisdom. We would highly and honestly recommend Wilma's family team for advice, which I must emphasise is never in their interest, but yours. Where, and when needed. My wife and I were selling our home for the first time and had no idea what to do – all we knew was how much we wanted to sell our home for. When we got in touch with Kirk, he met us on-the-fly at a coffee shop and took his time to explain the process to us. Prior to meeting Kirk, we were very skeptical of entrusting someone else to sell our home and take care of us by ensuring we received what we wanted for our home. We wanted someone who would not only explain the process to us, but also make us feel comfortable and secure. We found these qualities - and more - with Kirk. Kirk outlined what we needed to do in order to get our home ready for the sale. Kirk met with us many times and fielded many phone calls with our abundance of questions, which he answered honestly and confidently. Kirk researched our area (Milton) and advertised our listing to the surrounding communities including (but not limited to) Oakville and Burlington. Our home was posted on a Thursday and sold by the Sunday. We not only received the closing date we wanted, but sold it for $10,000 over market value (based on a similar model in our neighbourhood, which had recently sold). Kirk is professional, yet personable. He is easy to get in contact with and patient. He never makes you feel silly with any questions you have, and delivers on his word that he is working in the best interest of his client. When we sell again, we will be choosing Kirk. "a team full of energy"
Kirk was outstanding. Hands-down the most professional and effective real estate agent I've ever worked with. He always went over-and-above to help make my buying experience excellent. Backing him up was Wilma who was as equally skilled, helpful, and endlessly experienced. Great service and truly fantastic people. Whenever I have the chance I refer my friends and family to their team. We are totally amazed at the dedication, hard work, focus and efficiency of the Fournier Team! NOTHING is too much trouble for them to achieve our goals. Our house sold in 4 days after a three day Open House, for well over asking price! Wilma's warm, engaging personality immediately makes you feel comfortable while being a real driving force. Guy makes things happen fast and is a talented photographer, making the house look its best to help with the sale. Kirk is driven to achieve success and has great business acumen - he knows the numbers and is always thinking of new ways to drive the sale forward. Holly staged our home beautifully so that potential buyers could see themselves in it. If there are questions, they can always be reached 24-7, their phones are never turned off! Together The Fournier Team work as a dynamic group, their experience in this business is second to none and we would highly recommend them to anyone contemplating a move. "Sold in 4 days... for well over asking.."
My husband and I wanted to get some advice on the market and the possibility of selling our home. The first call we made ended with a voicemail. Wilma was next on the list and SHE ANSWERED THE PHONE!!! This is something that all of her clients can be sure to count on. We were extremely nervous about this decision as it was going to be life altering since we were planning on moving out of province. After meeting Wilma, we realized that she is a straight shooter and not only knows what she is doing but does not over promise or mislead you. Marlon initially told Wilma he wanted 800k for our home and wouldn’t sell for less, which would have been a good price. Wilma stated that her team would get more money for us than anyone else ever could and to trust her. So simply put, we did. Throughout the process, there were many doubtful and nervous times. Wilma was sure to come straight over and calm our nerves and assure us we were going to be delighted with the results. Her Team did a massive pre-marketing campaign to bring attention to the fact that we were coming on the market . They also did a wonderful job of completely staging our home so that by the time it went on the market it looked like something out of a designer magazine. The photos and marketing material were top class. The night of the offers was overwhelming. Wilma’s team had created a massive bidding war with a huge amount offers. Wilma’s negotiation skills are second to none. She’s like a English bull-dog in how she fights for her clients. It is all done with great integrity and she treated all the buying agents fairly and with decency. The result was that we got 100k over what we initially expected and way over market value! My husband and I were absolutely delighted, in fact ecstatic! Wilma’s team continued to hold our hand right through to the closing of our property. 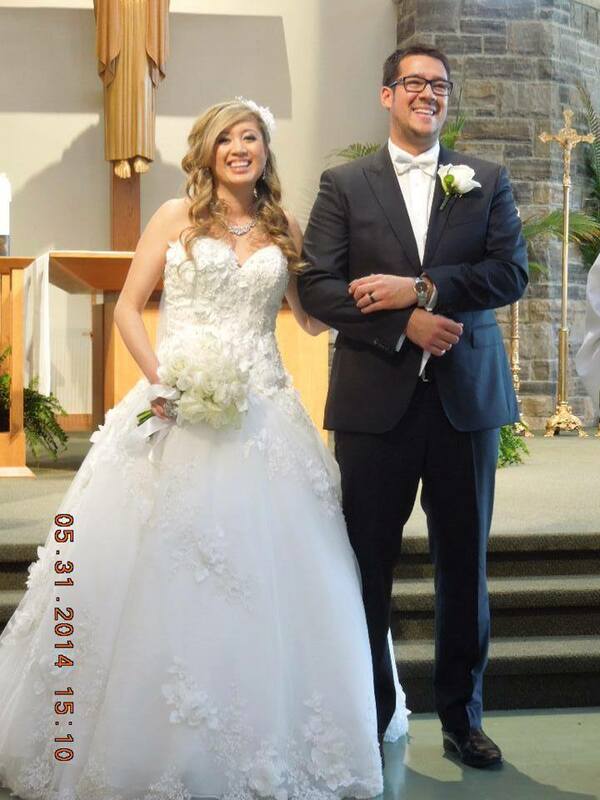 Nancy and Marlon (Oakville Closed December 2016) and moving to Newfoundland. We recently bought a house in Dundas, and had our house in Oakville professionally staged, and then sold that house for a price we wouldn’t have thought possible before we started the whole process. The first decision in that series of steps was the easiest – we called Wilma. Our family has known Wilma, Guy, Kirk and Holly for about five years socially, and we were always impressed by her gracious and enthusiastic manner at her social charity events. We did not see the absolutely professional and high-energy side of Wilma until we listed with her this month – and it was an awe inspiring sight! From the very start, Wilma and her team did a remarkable job of buying our next house, staging our house in Oakville residence for maximum appeal, and counselling us and reassuring us through the whole process. It ended with us receiving about a dozen offers and we were delighted with the final result. The final negotiation phase of our sale showed me exactly why Wilma is one of the top sales agents we have ever encountered as she used her experience, down to earth manner, and steely resolved (when needed) to negotiate a truly remarkable deal for us. And kudos to Kirk for his tactical success during our purchase, Guy for being there when needed during a crisis point and Holly for her staging acumen – it truly was a team effort! We would not hesitate to recommend Wilma and her team to anyone buying or selling real estate in or around Oakville. And what made the whole process so pleasurable for us is the fact that although Wilma is a top-of-the-line realtor at the peak of her game, she’s an even better human being, friend, mother of a terrific family. Over a year in our new home and we still talk highly of Wilma, Guy, Kirk, and Holly. Each family member contributed in their own way to making our dream a reality. During our initial consultation, we made it clear what type of place we looking for: open concept, social backyard, room to start a family. However, a few well-staged open houses made us want to just compromise and settle; the anticipation of finding a new home being too much to bear. Any other Real Estate agent might have let that happen, but Wilma was adamant on acting in our best interest – holding out just a little longer until we found something that met our initial criteria and would truly make us happy. Despite the market, we positioned ourselves well to succeed in our bid over five other offers following Wilma’s advice. Luckily, our existing condo sold the following weekend and brought in more than our asking price. The anxiety of buying and selling our home was short-lived thanks to their efforts. We would highly recommend Wilma & the family to anyone looking at buying or selling their home. Thank you to Wilma, Guy, and Holly for their expertise. Their efforts resulted in the successful sale of my home, and the purchase of my new residence. They offered the complete package – market awareness, expert advice on the marketing and pricing of my home, staging services, referrals to help get my house ready for the sale, and productive negotiating on my behalf. I couldn’t be happier with the result! My husband and I met Wilma four years ago when we purchased our first home. Just a few weeks ago we bought another home and with Wilma’s help put our house on the market. Wilma listed our place for $599,000 and we just sold, (as of an hour ago) for $731,000. This never would have happened without the expertise of Wilma, Kirk, Guy & Holly. I just wanted to send you guys my sincerest gratitude for the amazing job the entire team performed. You guys honestly far exceeded my high expectations at every level and in every aspect of this entire process! You guys are really a top 1%er for very good reasons! Well, I just wanted to say a quick word of thanks for this great provision God has blessed us with. Your family has really gone above the call of duty on this one and I am humbled and shocked and really speechless. Maybe it the exhaustion I don’t know but I know a great weight has been lifted and would really have started to panic I think by Wednesday. You guys are fantastic and I’m so blessed with new friends and agents I’ll be telling everyone who needs one about. Not to mention all those who have been praying for us to find something suitable. I think this place is going to be a cozy new home. I’m very excited and the kids are really very happy. Thank you for the cake and champagne they were lovely. The chocolate we will crush in the days to come. We will have you all over for dinner once we settle in. I thank the God of my salvation for having known each of you. We are happy to recommend Wilma Fournier as a real estate agent for anyone looking to buy a home or investment property. This is our second purchase with Wilma and we find her to be very knowledgeable and an expert in her field. Her enthusiasm and outgoing professionalism contributed to helping us move through a stress free transaction and we always felt that she had our best interest in mind. Wilma worked behind the scenes to secure our offer even though the seller came back several times asking for an increase. She did not budge from the number we had set as our maximum and only got back to us once the sellers signed the papers. We enjoy working with Wilma because of her bubbly personality and appreciate her Christian values. Customer satisfaction is very important to her and she shows appreciation by keeping in touch with her clients throughout the years. It is a pleasure to recommend her to anyone wishing to purchase or sell a home. One does not have to shout to get results with Wilma, but by the end of our home buying and selling journey we couldn’t help ourselves! Wilma was always professional in all her dealings with us and with the prospective sellers. She fought to get us the deal we wanted and was victorious after a full day of negotiating on our behalf. When it came time to sell our house, I have never seen anyone so dedicated to his or her work. Wilma and her son Kirk were all over the marketing of our upcoming sale. Agents were emailed, newspapers called, listings from Niagara to Scarborough were made. Staging was done, professional photos were taken and a beautiful sales booklet was put together. All because that’s what they do. We could not have asked for any more prep work to be done. The house went up for sale on a Thursday, open houses were held on Friday, Saturday AND Sunday, 14 offers came forward on the Monday and by Monday night our house had a new owner. The most amazing part was that we sold for more than 10% over listing!!!! We never could have accomplished that with anyone other than Wilma. So in the end, we shout, “WILMA” every chance we get. It hasn’t been a week since we sold and I have been singing her praises to everyone I see. Thank you so much Wilma and Kirk for taking us so easily through this wonderful journey. Wilma and team has been a true treasure and blessing to my husband and I. Wilma has a heart and dedication to support and donate time, funds, and energy into poverty based organizations. When Wilma found out that my husband and I were moving to Uganda, Kampala for 6-12 months to volunteer our time at an NGO, Wilma asked if she would be able to support us during our time there.  Through Wilma’s generous contribution she has supported and sponsored my husband and I for a year. These funds will be utilized to provide practical support to the school, housing program, and various projects that will benefit children and families in the community of Kampala. Wilma and team give their time, energy, and funds with so much joy. Joel and I believe that the Fournier team are sincere, generous, and compassionate people who not only actively serve Oakville, Ontario families, however, expand their support internationally. I met Wilma through an associate at work. I was looking for a great real estate agent in the Milton area. So far I had interviewed a couple of different agents but did not feel they were ambitious enough to sell my house. So my associate told me about Wilma, and told me she had done a great job for them selling a couple of homes. I called Wilma on a Monday, and by Wednesday we were having a meeting together. When Wilma arrived she looked at the home and felt it did not need too much staging. She had all kinds of price comparisons of the area with her. Wilma said we could use these properties as a guide line on prices. Wilma let my husband come up with a price that we were comfortable with after a discussion with her. The next day photos were taken of the home, and what a great job they did. That night our house was listed on MLS on about 3 or 4 different boards. Wow!!! amazing!! We knew we had chosen the best agent ever. Now just so you know, I have sold many homes in my life time and this was the best experience ever. Wilma is so knowledgeable about everything in real estate. Well two days later the house was listed. Wilma said she would have the house sold by the end of the weekend!!! I could not believe it. Anyway my husband and I were going out of town for the weekend so I thought Wilma would do one open house, no not Wilma she started Friday night. The sign was up!! Open house Saturday and Sunday. By Sunday we had THREE OFFERS, This was amazing!! We sold the house fast, with the closing date that we wanted and OVER ASKING, price! My husband and I were so happy. My neighbours could not believe how many people came to our Open House, so much so they wanted Wilma’s name as they are selling next year!. I would not deal with any other agent!! I will always refer people to her, I just wish I had met her earlier in my life!! It is clear from the first conversation you have with Wilma that she is passionate about her work and understands real estate better than most. Her knowledge of the market and ability to capitalize on it is confidence inspiring. When we approached her to sell our house she walked us through a strategy that would ensure we got top dollar. What was even more impressive was the prefect execution of that strategy. With more than 300 visitors over 5 days, our home quickly became the most popular property in Oakville, resulting in what we feel was the best outcome possible. Her work ethic is unbelievable and more importantly she operates with integrity. She manages to think of all the little touches that bring a bit of sanity back into what can be a very stressful and disruptive time. We would recommend Wilma to anyone without reservation. Since our house recently sold, many neighbours and friends have asked if we would recommend Wilma. Without a doubt! From the moment Wilma walked up to our door for the first time to assess our property to currently ‘pounding the pavement’ to help us find a house, she has been nothing but professional, knowledgeable and has been our guide through the emotional process of selling our home. Everything moved quite quickly largely because of the marketing effort that Wilma, Guy and Kirk put in place. Our house was officially listed on a Friday morning and that weekend of open houses brought over 200 people through. Wilma and Guy worked endlessly to ensure that the open houses were a big success. We really felt that Wilma went above and beyond representing us and what we ultimately wanted out of this experience. She is still continuing to do so as we look for our next home. Wilma knows her stuff. She is an expert in the market and understanding what is a realistic price for your home. It has been an absolute pleasure having Wilma, Guy and Kirk represent us. What an absolute pleasure and a privilege it was to work with Wilma as our real estate agent for the purchase of our new home in Southeast Oakville. From the first moment we met Wilma, she made us feel so welcome and cared for. It is obvious that she is passionate about what she does and will go above and beyond to help her clients find their perfect home. She is thorough and professional, and at the same time has a very sweet, friendly and generous nature that makes you feel you are working with a close friend. We highly recommend Wilma and her team. We would work with her again in a heartbeat and wouldn’t hesitate to recommend her to anyone looking for an AMAZING real estate agent! My husband and I send our sincere thanks to you for walking us through an extremely important phase of our lives. The search to buy a new house is almost never restricted to buying just a good looking house. Buying a house means a careful study of various factors; more so when one has kids: the best school zone, the right neighbourhood for the kids to grow up in, safety, parks, walking trails etc…which is then followed by the more generic factors: individual budget, space, distance to work, highways, groceries… and of course those never ending last minute wishes! In having the patience to tie in each of those needs, while having the foresight to understand where we will best fit in based on our personalities, all three of you have gone above and beyond working out of the traditional role of realtors. From endless discussions about possible potentials (or the lack of) every house you showed us, to getting us our ‘forever home’ working hard to get us the best price possible and seeing us through to the end, was a long but an easy and hassle-free journey with you. As if that in itself was not enough, you have welcomed us with open arms into the community, inviting us to social events so we along with our young children can feel at home. In just a few short weeks since our move from Toronto to Oakville, we feel as though we have been here forever. And to have this feeling of a permanent settlement is priceless. Thank you Guy, thank you Wilma, thank you Kirk. It has been an absolute pleasure to work with such an experienced trio as yours; your individual expertise certainly compliments each other and has worked much to our benefit in finding the right location and our beautiful new home. A sincere thank you for what proved to be a difficult sale but on the other hand the highest price so far on the street and in our neighborhood. SO, WELL DONE!!! While we had to lower our price from the original listing, you have guided us through the process and provided us with very valuable advice and honest opinion which is something that we value the most. Honesty is hard to come by these days. Looking back now, we can fully appreciate your very hard work, dedication and professionalism…. and did I say that you made us laugh even in some very difficult situations. Both you and Guy are top professionals and we certainly value all your time and effort you have put into selling our house. Your energy is quite astonishing and you certainly make a presence whenever you go, while Guy brings a nice balance to your team. He is a wonderful guy / or Guy who brings with himself his professional engineering experience. A nice asset to have in this business today. We are finally settled and it is in big part to you Wilma, without your help and support in the last 2-3 months it would not have been possible. You have been the expert at getting me not just a house but a home and making sure I got as much for my money as possible. You also took care of all the details for me and when I needed to get our of my marital home you came through. Before this process you were an acquaintance but now I consider you a friend as do the girls. They are very grateful for your generous gift (having their room painted) and love their new rooms. Due to your hard work we are settled and LOVE our new home. THANK YOU from Violette, Carina and Emmanuella Cerminara. There you go. We are very grateful to you for everything you have done for us. Thank you! It’s so very comforting to have you in my life Wilma. I’ve been tellng my friends about you. Your are such an incredible human being taking care of your mom & dad, husband & kids & household, and then clients & their headaches too! And you’re so tactful too! It’s so beautifully obvious how much Guy adores you, and how well you’ve raised your handsome, & well mannered son, Kirk! In this day and age, & when you’re in a cut throat industry too! You’re are truly a strong, kind, gifted, well respected, responsible, very blessed treasure to all who get the privilege to know you and really appreciate how dynamic you are! I am so very impressed with you and all that you are able to handle! Really I am so impressed by how wonderful you are under every circumstance, you handle it so very well! Looking forward to seeing you and giving you a big hug, you special angel! My wife and I will be the first to admit that moving from your comfortable home of 40+ years is not a pleasant experience, as a matter of fact, it is an horrendous chore. How did we make it easier? Simple !!! JUST SHOUT WILMA !! A beautiful Christian lady who will take the time to present to you a marketing plan that is achievable, realistic and the most important, it is honest. Maybe this is why she is in the top 1% of national sales. This lady is on your side and devotes many long hours selling your treasured home and assisting you to relocate to a more desirable location. By her side is husband Guy who is a professional engineer and uses his expertise in the sale of the home. After the inspection, he arrived at our door, tool bag in hand ready to make the minor adjustments to satisfy the requests of the new buyers. He was there for us making time to visit our new place of residence so we could better assess what to pack and what to donate. Wilma and Guy are a fantastic couple making this move bearable and delighting our hearts as we look forward to “our new home”. Wilma & Guy have become our very dear friends and we intend on visiting them BUT only after we unpack the mountain of boxes that will be standing before us. A sincere thank you to Wilma, Guy and their son Kirk. You need to know just how good this lady is at selling homes. When you first meet with her, she will lay out a objective that sound foolproof. She will describe a game plan with great marketing and communication activities and she will create an atmosphere of success by presenting a realistic and achievable goal and will back it with professionalism, dedication and action. My wife and I have moved 12 times over the past 35 years and NEVER have we been treated to such a wonderful experience of listing and selling like we enjoyed with Wilma. The great support offered by her son Kirk was truly a winning combination. He has a solid understanding of selling features and benefits and was instrumental is allowing us to sell our home in 24 hours. They truly work as a great team. Wilma should be called “St. Wilma” for she is a miracle worker and she does it all with a smile, laughter and contagious enthusiasm. Take our advice and choose Wilma to sell your home. You will not be disappointed! I just want to thank you both very much for everything you have done to make the sale of our home a breeze. You both have done a lot to market/advertising our home weeks before our home had a “For Sale” sign on our lawn. Because of that, our home sold really quickly. In fact, the response was overwhelming (in a good way) and it was nothing I expected at all. I have to be truthful; we were planning on selling our home privately so we could save money. When the home immediately beside us sold for over $50,000 less than what we were going to ask for just 2 months before we were going on the market, it made us worry. We decided to go with an agent to help us out. We put a lot of money and hard work renovating our home and it would have been a shame if we did not see a return from our investment. I did do my research and familiarized myself with several agents in the area and it did not make me any more relaxed about the process. In fact, it made my anxiety grow worse because I knew that a large amount of money would have gone to them and it just did not feel right. It felt like we were wasting our money on someone that could not care less about us as a family and our future. You both were different. You put our needs first and did everything in your power to get us top dollar for our home. Money you received never really was on the forefront to you. It was only after I met with the both of you I began to trust in fate and leave the sale of our home in someone else’s hands. It was the best decision we have made in a very long time. Both of you went over and beyond what other real estate agents do and it actually feels great that you received the money that we could have saved if we sold our home privately. I never thought I would say that, but it actually makes me smile. You really do deserve it. You both are very experienced and it was comforting to have you both take over. We could never have done what you have if we sold our home privately. I will recommend you to everyone I know. Friends and family cannot believe we sold our home less than 12 hours after the first showing. I am still walking on the clouds. Not only did we sell very quickly, we sold above listing price. This really is what dreams are made of and I cannot thank you both enough. Not everyone can say they woke up for the first viewing and went to sleep same day with a “Sold Sign” on their lawns. I actually never thought that can even happen. What was expected to be a hard, long, and daunting process, you made it a memorable experience. We will forever be grateful for all your hard work behind the scenes as well as on the front-line and I am glad we choose you to sell our home. I am confident that we would not have had the response we had for our home if we not had you as our agents. We not only got to know you as agents, but as friends. Thank you very much for being extremely professional when need be but also personal so we knew how to trust you with the future of our family. Wilma has been a close Christian friend of my family for many years. Back in 2010 my husband and I were looking to purchase our first home. Wilma found us a townhouse almost immediately in Oakville. My husband and I were sure that this townhouse was out of our price range but Wilma was confident that she could negotiate an excellent price for us, and that is exactly what she did. With Wilma’s input and expertise we planned to fix it up and sell it down the road. Two years later we had our eye on a detached home in Oakville and once again we called Wilma to show us the house. Immediately, we put an offer in on the new house. Once again Wilma negotiated a great price and our offer on the new home was accepted-it was time to list our townhouse. After 3 weeks Wilma sold our townhouse for our FULL asking price. This was the highest price ever sold in our townhouse complex. She spent all night on the phone managing to get us our preferred closing date and full asking price. Wilma is the most dedicated and hard working woman in real estate. She is honest and fair and puts her clients first above herself. The best way to describe her impact on our lives is simply this…”Wilma has helped to make our dreams come true”. I would recommend Wilma Fournier to anyone looking for a home or looking to list their home. With her years of experience and her faith and trust in the Lord, she has a sixth sense and intuition to act accordingly in a business that can be so unpredictable. Just call Wilmaaa!!!! She won’t let you down! Please use the following as you like for a referral to new Clients. I absolutely mean every word. I finally got my SOLD sign on my house after a very emotional roller coaster selling of my house. I would not have been able to go through all of this if Wilma did not walk through this with me step by step. I’ve been in Canada since 1997 and moved 7 times. This was my first experience where the agent I dealt with actually had put me and my needs first. She actually listened to my concerns and worked around them. She did not tell me what I would like to hear either which made me feel even more confident that it would work out for the best and it did. Wilma went the extra mile by helping me determine the correct pricing for my house by studying the area and other similar houses and she recommended how to stage my house in the proper way to show how your potential customers will be able to see themselves in my space. There were multiple offers, but Wilma would not settle till I got the full price and the long closing I needed. This helped me get peace of mind to go out and find my new home with Wilma on better terms without having to jump into something I don’t want. If I ever have to go through this process again Wilma will be the first person I call. We have no hesitation in recommending Wilma and her family team. Wilma runs a tight ship; from the moment we met her, we realized how dedicated she is to getting the best price for your house while making the process as pleasant as possible. Since we were moving overseas during the Christmas holidays, our timeline was tight. No problem for Wilma’s team; she brought in Sabine to help us organize and stage the house and Andy the handyman to take care of minor touch ups, all at her request and expense. Her son, Kirk, and her husband, Guy, were also integral to the process. The sale went quickly and relatively painlessly, thanks to Wilma’s experience, energy, and professionalism! She closed the deal, recommended a great lawyer, and found time during the holidays to deliver a thoughtful family gift to help us celebrate the sale and our overseas move. A hectic month, to be sure, but definitely a memorable and profitable one thanks to the Fournier team! I would like to thank you for the tremendous work you did marketing my home. I truly appreciate the effort you put in, which really paid off. The pre-listing marketing drove fantastic interest in my property and proved successful with over 75 people coming through it in just 6 days! Also having coverage as the “Home of the Week” in the Oakville Beaver really sparked interest in this property. Having a large family and a dog made it imperative that the house sold quickly. We discussed a plan, you listened to my needs and then you executed it with precision and purpose. I couldn’t have had a better experience. You drove demand for my property and consequently drove multiple offers. Even with the multiple offers, I would not have gotten as much as I did for my home if it hadn’t been for your expert negotiation skills. I can’t thank you enough for all the work you and Kirk did! I hope you and your family have a truly wonderful Thanksgiving. It is with great pleasure that I commend to you Mr. Kirk Fournier. I first met Kirk approximately three years ago when my husband and I were looking for a property in Burlington. Kirk Fournier and Wilma Fournier are real estate agents through Royal LePage and they were delightful to deal with on a whole host of levels -enthusiastic, courteous, and extremely hard working. We did not hesitate to call upon Kirk and Wilma when, this year, my husband and I decided to sell our home in Oakville and purchase a new home in Burlington. They made the process about as seamless as one could hope for. I wholeheartedly recommend both Kirk and Wilma to anyone who wishes to buy or sell a home. But it was Kirk’s personal dedication on another matter that attracted my gratitude and admiration for his kindness, compassion and tenacity. My client, Jane Doe, is a stroke victim. Her mobility is restricted, and her cognitive abilities may also be compromised. I believe she has been taken advantage of many times. She was forced to sell her condo for financial reasons. I contacted Kirk and Wilma for assistance and they agreed to help her, notwithstanding that this condo is very modest, not well maintained and outside their usual territory. Kirk took the lead on this sale and no words can convey how wonderful Kirk was with Jane Doe. There were many problems -multiple low offers because people discovered Jane Doe’s desperate situation, offers that fell through because of financing, issues with real estate agents who were less than cooperative. Kirk worked so hard to sell this condo when most agents would have walked away because the investment of time and energy was beyond the pale. He committed to helping her and to ensuring that she would not lose her home to bankruptcy. He even offered to help Jane Doe make her mortgage payment! After countless long hours and having had two offers fall apart, Kirk suggested increasing the buyer agent’s commission substantially in order to attract agents to bring their clients to see the condo -and the strategy worked!Multiple offers came in and Jane Doe’s condo was sold. Needless to say, Kirk’s commission was negligible -he earned little or nothing on the sale. 10:00 p.m. She has told me how kind he has been to her -words I am both surprised and delighted to hear from her. He seems to have renewed Jane Doe’s faith in humanity. He impresses me with his unique mix of professionalism, diligence and empathy. If you require any further information or wish to discuss this further, please do not hesitate to contact me. It would be my pleasure. Just wanted to write a little note of thanks to our realtor and friend for coming through for us once again!! Although my wife has worked with Wilma before on 2 of her listings and 2 for her friends; I was a bit skeptical that Wilma could sell our unique property in a slow November market. I was previously a realtor and knew that the end of November tends to be slow and that the number of people looking for our kind of property was only a small percentage. But she invested heavily in the marketing of our property prior to it’s listing ,and our house sold in less then 6 days at full asking price. Wilma is notably ethical and professional in her transactions. Because, of her warm personality and sense of humour it was a pleasure to work with her!! I would highly recommend her to anyone who needs real estate advice. I am writing the following as a letter of reference for Wilma and Kirk Fournier. My husband and I recently sold our first home with Wilma and Kirk, and bought our second family home. At the time we initially called Wilma, we had been considering selling our home and purchasing a larger home as we had outgrown our semi in Oakville after having two children. We were nervous about selling, leaving the community we had grown to love, whether it would be a good decision for the children, and all of the unknowns and work involved. My husband called a couple of realtors before speaking to Wilma, and immediately called me to say that he had found us a realtor I would love. He was amazed by her level of excitement and said she had put many of his fears at ease. We met with Wilma in our home that evening, and the feeling was mutual. Wilma quickly earned our trust and put our minds at ease. It was clear that selling our home was more than business to Wilma. It was personal. Wilma and Kirk always made themselves available to show homes we were interested in, and to answer any questions or concerns we had. They were literally always available. Within a month of meeting Wilma we purchased the perfect home for our growing family in Burlington. Wilma held our hand through this process and offered us advice as though she had been a trusted friend for years. It was clear she had our best interest at heart. After purchasing our new home, our existing home was quickly listed and was sold above list price within four days! It was an incredibly busy and stressful time for our family, and we are so thankful our home sold so quickly. We owe this all to Wilma and her amazing skills! After our home sold, Wilma continued to support our family by providing the services of a professional organizer who helped me to organize the children’s things, pack our home, and prepare us for the move. As if this wasn’t enough, Wilma asked her to return after we had moved into our new home to help me clean our new home and unpack boxes. Moving with two small children is a stressful event to say the least. I simply cannot thank Wilma enough for the support she provided to our family during this time. She helped us to realize the vision we had for our family home really was within our reach. What’s more, she has become a trusted family friend. Wilma was not our first choice as a real estate agent. Originally we went with a well known gentleman who, although our home was dated,needed work and would therefore be difficult to sell,agreed to list our home at the price we felt it was worth. Within one month and after only a few showings, we were told we had to lower our price. We declined and coincidentally so did the number of showings. In spite ofthis an offer did come in but it was $70,000 less than we were asking. We turned down that offer and our agent basically put us in the position that we either lower our price or he would no longer put any effort into selling the place. As it was, his effort had been minimal so this was more than a little concerning. Enter Wilma. At our initial meeting she presented her plan with an energy I had never seen before. She talked about agent showings, agent lunches, an advertising blitz and holding back on taking offers. She told us what she thought she could get for our house, which was less than we had hoped for but more than we has been offered previously. Everything that was promised,she delivered. The number of viewings was exhausting but our house sold quickly and we got what we asked for. I found Wilma to be honest, straight-forward and extremely hard working. Moving forward, I hired Wilma to find me a short­ term rental unit. Although the reward for this endeavor is much less, she approached my situation with the same enthusiasm as she had the selling of my house. Agai n she was successful and this was no easy task as I have several pets. In the near future, I will be purchasing a new home. I cannot imagine doing this with any other agent. I know that woman will not rest until she finds me exactly what I am looking for and unfortunately for her, I am not easy to please. However, I have no doubt she will be successful. I would have no hesitation whatsoever recommending Wilma to all of my friends and family. Clearly she loves her job and she does it well. She is accessible day and night and makes you feel as though you are her only client. She makes no promises that she cannot deliver on and she does exactly what she says she is going to do. She is well informed and knows her business. It has been a pleasure doing business with her. We had the pleasure of meeting Wilma Fournier at an open house, and right away her enthusiasm for helping us find a new home was like a breath of fresh air. Wilma’s proactive approach and dedication sets her apart from many other real estate agents that we’ve met over the past years. Wilma brought us to many homes in our area of interest so she could get a concept of what we were looking for, and she actively approached homes on the streets that we liked in order to find hidden opportunities for houses that hadn’t been listed yet. Not before long, Wilma found us a house in a great area before it had been put up for sale, and now we are very happy to call this house our new home. Wilma goes over and above your expectations by always keeping in touch, by constantly suggesting approaches to find the perfect house, and by showing that she genuinely has your best interests in mind when finding a home. We would recommend Wilma to any of our family and friends wjth confidence knowing she would work as hard for them as she has for us. I can only say you are nothing short of amazing! It has been an absolute pleasure working with you on the sale of my home. I’ve always viewed Real Estate Agents as something akin to used car salesment who just want a quick sale at any cost and move rpaidly on to the next deal, but you have proven to be the exception. never did you exert any pressure and the fact that you involved me in all aspects of the marketing plan speaks volumes! Your professionalism and attention to even minute deatils puts you in a different league and your results speak for themselves. You have exceeded my expeactions not ony in the speed of sale and the record price achieved, but also in your friendly approach to what can otherwise be a stressful situation. You truly are a gem and I have no hesitation in recommending you to anyon fortunate enough to seek your services. ‘Coz Wilma’s a wonderful thing! And all the good blessings she brings! Taking on the stress of the task. All you need do is ask!! I knew she’d do just as she promised. and plain and simple she’s honest!!! We were extremely happy and completely satisfied to have Wilma Fournier and her son Kirk work with us to sell our home. Throughout the entire process Wilma and her team were professional, conscientious, and motivated. We felt as though we were their only clients. Not only did we get more than the initial asking price, we sold our home in less than a day on the market. Wilma was bang on with her advice and recommendations on how to stage our home, what price to ask and when to list. We highly recommend Wilma and her team to anyone looking for an effective and reliable real estate professional. use reach our goals. Wilma listens! She is always quick to help us with any problem solving. I relocated with my employer across the country and had the pleasure of working with Wilma after being referred to her by four of my colleagues. Her dynamic personality and positive attitude made for an instant connection that is so important when working with a professional realtor. From the time we met, Wilma showed a personal connection to me and my family by giving us her time, educating us on the real estate market, and showing us all parts of the Oakville community. She handled this in person with me and through regular e-mail communications with my spouse. Through the entire experience, we felt like we were heard, supported, and in control of all decisions and timing. We would highly recommend Wilma Fournier to anyone who can appreciate a feisty British gal who loves her job and her clients…or to anyone who just needs a good realtor. Many many thanks for completing both sale and purchase deals of our houses amicably and I look forward to seek your help for any future real estate need. I must say that Kirk has also done an excellent job due to your training and guidance. We met Wilma by chance during an open house we went to visit when we were still in the ‘tire kicking’ phase of the process. As prospects of buying the house she was showing we were very impressed with her cheerful and “can do” attitude. We were also impressed with the marketing material she had prepared for the house. We knew at once that we wanted to talk to her better to get our sell and buy process going. A couple weeks later she was at our place and by the end of the conversation my wife and I felt confident we were hiring a seasoned and competent professional to assist us in such an important transaction. Wilma and Kirk helped us getting everything ready for the big day and we received 5 offers within 1 week and ended up selling the house for above asking. I was most pleased with the way she handled everything and made this possible, even though my wife and I both were travelling at the time! Wilma and Kirk are very tech-savvy and we were able to go through offers through the web and conference-call. It is so good to deal with professionals who understand the needs of technology and mobility! On the buying side of things, Wilma is very knowledgeable of Oakville and the surroundings areas and will really help you in only visiting “good” properties. Again, as busy professionals with little time on our hands, it was greatly appreciated to have somebody already ready to go and to go to the right places. We ended up buying our dream house at a fair price and are looking forward to closing day. Wilma also helped protect us by negotiating required fixes discovered during the home inspection and handled all the negotiation with the other party. Wilma also invited us for some great parties at her fabulous house and we greatly enjoyed networking with other people and really look forward to next time! Do your research and keep in mind that your house is your biggest asset. I am confident that you will be pleased with Wilma’s services and recommend her without reservations. It has been my practice as Area Manager for Royal LePage in Oakville to recognize our Salespeople for their outstanding achievements. I would like to take this opportunity to personally congratulate you on attaining the #1 Individual Sales Representative position in Oakville for the second year in a row. With a combined sales force of 250 Agents across our 3 Branches, this is a remarkable distinction. Never before has a singular Agent achieved this status for 2 consecutive years. In addition to achieving this distinction for our area, you have also succeeded in earning a ranking among the Top Ten Individual Sales Representatives in Ontario for 2010. This Award recognizes, at the provincial level, the top ten Royal LePage Individual Realtors for residential real estate in Ontario. We are enormously proud of you and of the great honour you have brought to Royal LePage Real Estate Services Ltd. by your achievements. Royal LePage is particularly fortunate to have you as part of our sales force, consistently contributing to our company’s success. Wilma, thank you on behalf of our organization and congratulations on achieving these prestigious and most distinguished honours. I wish you continued success in 2011! I would like to take this opportunity to recommend Wilma Fournier as your real estate representative. Wilma came into our lives when my wife and I were in a state of turmoil, over selling the home which had been in our family for years. We needed to sell as quickly as possible, but we were somewhat apprehensive about having the right representation. We had tried to sell our house previously, only to be told that we really couldn’t expect much as the market trends were not in our favor. But then along came Wilma Fournier. Wilma showed a true interest in our situation and was a kind and calming influence on us when we needed it most. She told us what we would have to do to sell our home and worked with us to that end. She was always helpful and supportive and encouraging and made us feel as though she was there for us exclusively. She also indicated that if we did our part she would sell our house quickly and at the price we were asking. Not only did she meet our expectations, she exceeded them. We put our house on the market and within days it sold at considerably over the asking price. Everything that Wilma promised us came to fruition and we couldn’t have been happier. We have settled into our new place and are moving ahead with our lives thanks to the efforts of Wilma and her team at Royal Lepage. They also helped in making the transition to our new home an easy experience. In conclusion, if you are looking for the very best representation in selling your home and purchasing a new one, I can think of no one who is better qualified to assist you in your endeavors than Wilma Fournier. Remember “Just Shout Wilma” when you are ready to make the move. We selected Wilma as our agent when selling a property recently, and are very happy to recommend her. Wilma’s expertise was clearly apparent throughout our experience. With her knowledge of the market, she was able to give us some excellent advice. Her representation was very thorough, and her negotiating skills are sharp. We would not hesitate to recommend her and use her again in all of our future transactions. In short order, Wilma designed and executed an effective marketing and negotiation strategy. Wilma’s friendly demeanour and competent approach alleviated much of the stress associated with both buying and selling homes in an uncertain housing market. It was a pleasure partnering with Wilma and I recommend her professional services to my family and friends. I had sold a property before; it took 10 months and 2 agents. I was happy with the second agent and fully intended to use him again. All the same, I wasn’t too enthusiastic about going through the process again, especially now that we have an infant. My husband and I wanted to sell our townhouse in the spring, so I dragged him to a few open houses the previous fall. That’s when we met Wilma by chance. She engaged us in conversation, and I really liked her. I decided right then that she was the agent I would be calling in January. And I did just that. She gave me really good advice about the kind of changes we needed to make in order to get top dollar. We followed her advice and she delivered. Wilma sold our house in 3 hours for far more than we hoped to get. 8% over the asking price!! And she didn’t stop there. When we found a house she made sure we got it. We were the first to see it after the agent open house and she had an offer in and presented in a matter of hours. Wilma really went to bat for us. Again, we followed her advice, and in just a few hours got the call that the house was ours. It has been a pleasure working with Wilma. Because of her engaging nature it never even felt like work. I would highly recommend her to anyone. We met Wilma at an open house in December 2009 and immediately felt she was someone we could easily relate to. She visited our condo in January, and made sensible recommendations to ensure its successful sale. Wilma accommodated the date we wanted to have an open house, and was fully committed to making the process quick and painless. She negotiated on our behalf and we sold within the week. As a feeling of being homeless panic set in, Wilma immediately made her self available to start viewing townhouses. Fortunately, we quickly found exactly what we were looking for and with Wilma’s expertise we secured it at a fair price. Wilma Fournier assisted us in the sale of our condo and purchase of a new home in February 2010. We did not feel under pressure at any time. Wilma offered advice when asked and guided us when necessary, but never put us under any strain to buy or sell. She was very knowledgeable about the Real Estate market and well aware of all the tactics used to get the best deal possible. She was friendly and always answered our calls. Even if we called 10 times in a day, she still answered our calls and immediately dealt with the issue at hand. She understood the conditions of purchase and sale at an expert level and corrected mistakes the other real estate agent made on the some of the documentation. When the deals went through, Wilma also referred us to a very competent lawyer that offered personalized service. I would recommend Wilma to anyone. She is energetic, enthusiastic and well informed. Had a Bad experience with a Realtor? I did, and then I met Wilma Fournier. Wilma kept every promise she made and then went well over her call of duty. I was absolutely delighted with the fantastic results she delivered. She’s always cheerful, positive and great at marketing but the best part is she is a brilliant negotiator! Ask her for my number as I would be happy to talk to you personally about her top class ability. A very happy Vendor that got multiple offers! Who will definitely use Wilma as my Buying agent as well. We want to convey our sincere appreciation for all that you did to assist us with the recent purchasing of our dream home in Burlington, ON. Being new to the city, we knew that our choice of a realtor was of utmost importance. One of our friends highly recommended you. We were convinced, from our first meeting with you, that our decision to engage your services was the right one. Your professionalism, knowledge of the market, suggestions and passion for work all contributed to our overall feeling of confidence and peace of mind. You were willing to take the time to listen to our needs while keeping our interests in mind meant a great deal to us. You were so committed to finding us a home that both of us would love. You assisted us in all phases, went out of your way to provide us with the answers to all our questions, and stayed with us until the last inspection. We really felt pampered and cared for. It’s a good feeling when one is making such an important purchase. In particular, we appreciate that how well we were taken care of by you even after closing. When we got the key and went into the house for the first time after closing, we noticed an A/C problem that had occurred since the home inspection. We told you about this problem. You immediately notified the seller’s agent and our lawyer. Moreover, instead of handing it all to the lawyer, which would cost us extra money, you in fact assisted us all the way for the solution to bring it back to the condition when bought the home at. Your pleasant personality, unbelievable patience, negotiation capabilities, attention to detail, dependability and drive would definitely rate you as a top realtor. We would definitely recommend you to others who are considering buying their home. Having lived in the same home in Oakville for the past twenty two years, making the decision to sell was difficult and stressful. Wilma took us step by step through the whole process of deciding the right time to list, redecorating and de-cluttering the house for listing, choosing the right price to ask by assessing the market in our area and much more. She even counseled the kids about leaving the house they had grown up in. Her personal involvement and care made a tough situation much easier. She put in a tremendous amount of work, not only marketing the house before the sign went on the lawn, but in the open houses and showings – constantly keeping us informed with everything that was happening. When offers were finally received (there were six) the house sold within one hour at almost $40,000 (almost 8%) over the list price!!! Needless to say we were blown away. The price that Wilma got us was unprecedented on our street and in our neighbourhood, all at a time when newspapers were indicating nothing but doom and gloom in the real estate market. As though that weren’t enough she then helped us through the painstaking task of finding the right home – with a huge wish list to fulfill! Not an easy job. She didn’t take a break until she knew that our needs were met and we were moved in. We are tremendously happy and I know Wilma’s role in our journey from ‘For Sale’ to ‘Sold’ has played a huge part in that happiness. We would strongly recommend her to anyone selling their home, and although our final result was exceptional, we are confident that Wilma would provide the same service to everyone that she works with and do her absolute best to get the best possible result. Wilma makes that her personal commitment and she doesn’t sit back and rely on her reputation or junior salespeople to sell the property – she works hard to get it done. Our real estate experience also gave us another unexpected bonus – we are now fortunate to call our agent ‘our friend’. It is a pleasure for us to provide a reference and be sure that anytime we have an opportunity we will refer potential home owners to you. We recently decided to look for a new home and Andrew and I were looking for a sales representative that would be honest, dedicated, knowledgeable and trustworthy. After all, the purchase of a new house is a large investment and we wanted to make sure that we worked with someone who had our interests at heart. We found that person in Wilma Fournier, one of the parents at John Knox Christian School and a wonderful hardworking and caring individual. Wilma’s professionalism, years of real estate experience and great negotiation skills came through for us and now we proudly say that we found a new house and look forward to moving into it! Thank you very much Wilma for all your help, you are the best! After three years of searching, we found our dream home on a Friday night. Wilma took one look at the house, and knowing what our maximum purchase price was, told us point blank that the house was severely under priced. If we wanted the house we had to move quickly as the agent was having an open house the next day, and the house was bound to get many offers. Trusting her to take care of the situation, we agreed, and went to her office to prepare the offer, which she did. It was at this point that Wilma did something special for us that in our opinion sets her apart. As she wasn’t going to be able to meet directly with the other agent and the sellers, she felt that she needed to somehow personalize the offer to convey how much we loved the house. She told us she was going to write a letter on our behalf to be included in the offer. That evening at 11:30, we received a call from Wilma telling us that our offer had been accepted. After meeting the sellers, they told us that it was in fact that letter that tipped the balance in our favour, and helped convince the sellers that we were the right buyers for their home. It turns out that Wilma’s appraisal of the situation was correct, for after the open house on Saturday there were eight registered offers. Without her experience, and instinct, we would have lost our dream home. If we ever decide to look for another home, we will call Wilma Fournier. It was a great pleasure having Wilma Fournier as my real Estate Agent for the sale of my home. Her thorough knowledge of the business gave me confidence and her caring attitude made the whole process worry-free. Not to mention getting me list price!! When someone has been through a difficult time and is trying to make big decisions by herself for the first time (there’s not much bigger than buying and selling a house!) it is easy to feel lost, second guessing yourself – and Wilma never made me feel like things weren’t going to work out. That feeling of security was more important to me than anything and I deeply appreciate all she did for my family, from the bottom of my heart. I also appreciate that Wilma’s services did not end when the ink was dry, but she continued to represent my best interests after the sale as well. I would absolutely recommend Wilma to anyone who wants a caring professional who delivers what she promises to her clients. Our sale was very challenging due to very specific time goals and price factor that needed to be met. To say you did an exceptional job handling this sale would be an understatement. We interviewed three of the top 12 sales agents in Oakville in deciding who could best advise, council and ultimately sell our home. Your value difference was clear from the start. You outlined a very clear plan about how you were going to execute the selling strategy of our home and meet the high price point and the short time frame that was necessary. Your plan was unique in comparison to others that were equally qualified to sell my home. From the moment you were engaged, the plan was executed without flaw. You kept is unformed throughout the sales process. You were very clear on the offered presented and why certain ones should be turned down, even when we wanted to accept them. You worked strategically to consistently bring qualified buyers through the home and you were a strategic partner with us throughout the process. I would welcome anyone who may be considering using you as their agent to contact me for personal comments in regards to your extraordinary ability. Michelle and I would like to thank you very much for all of the help and guidance you provided for us in the purchase of what has now become our new home. Your honesty, integrity and most of all creativity was second to none when it came to our purchase. Like most, we find the purchase of a home somewhat intimidating. There are so many loop holes people can get caught in, which land up making the purchase very expensive and regrettable. But in the purchase of our home we just had that comfortable feeling, from the moment we met you, that all was on the up and up and we weren’t dealing with a high pressure “new car” sales person. You gave is the time to think clearly about what will probably be the biggest purchase in our lives. You provided us with all the information to substantiate the pricing terms and conditions of our purchase. Even the recommendation for the lawyer turned out to be seamless. In addition to all of this, your ability to sell Michelle’s town home was truly amazing. Your creativity certainly came through when we were sitting at the table formulating “the game plan’. Wilma, we have and will certainly refer your talents to our friends and family, so they too see how a house purchase can be a pleasurable experience. Good on ya our dear friend! It is with great pleasure that I recommend Wilma Fournier as a real estate agent. Wilma is intelligent, capable, dedicated, and personable. Wilma is very knowledgeable about the real estate market. She sold our house in three days and we received higher than our asking price. Her insights on how to properly stage a home, her professional brochures, and extensive network of real estate agents were invaluable in selling our home. Wilma is motivated and passionate about her job. She has a high level of energy and is an excellent negotiator. Wilma far exceeded our expectations when she negotiated the purchase price of our new home, and we were thrilled when she sold our home for above asking price. Wilma is honest, trustworthy and professional. She is respected by her clients and colleagues. Wilma will always take care of your needs. It is refreshing to work with a real estate agent that is protecting your interests. Buying and selling a home can be a stressful experience. We found Wilma’s list of contacts from home inspectors to real estate lawyers all professional and very helpful. Wilma is dedicated to selling your home. Wilma responds quickly to e-mail messages and phone calls. It was enjoyable to work with Wilma, and she took away all of the stresses that come with buying and selling a home. Wilma’s level of customer service does not end after she sells your home. On more than one occasion we needed to reach Wilma after the sale of our house and she always responds promptly. We feel fortunate to have developed a close friendship with Wilma as a result of selling our home. My wife and I highly recommend Wilma Fournier as a real estate agent. If you require more information, please feel free to contact us. I wanted to write to thank you once again for the excellent service in handling our recent real estate transaction. When Melanie and I first met you last summer at an open house, we recognized immediately that you were someone that we would be very comfortable in dealing with in the future. While we were obviously not seriously looking a purchasing a new home at the time we were impressed with the time you took to show is around the house, discover our needs, and suggest some areas of Oakville that may best suit our family’s requirements. We left the open house very impressed and took the time each week over several months to review the emails of the current suitable listings that you sent to us. When we finally did spot a property that suited our needs you were very quick to respond in setting up the visits and again took the time to listen to our comments and feelings. Our decision making process was greatly simplified by all of the leg work that you had done to provide us with information on the sellers, the property, the neighbourhood and the local market prices and it allowed us to execute a challenging offer in a very short amount of time. Your strategic presentation of the offer combined with excellent negotiating skills proved to be very successful in getting us the Parkland Road house for exactly the price we wanted with the long close date we needed in order to sell our current home in Oak Park. There was no doubt in minds that we would engage your services to sell our on Littlewood Drive. Once again we found your knowledge of the area, advice on the staging and marketing of the home and strategic approach to buyers invaluable in negotiating us through to a sale our home within a month of listing at 99% of our list price and more importantly the close date that we needed with no unwanted contractual entanglements! As a sales professional myself I appropriate excellent talent when I come across it and you Wilma are very talented. You succeed in combining all the required traits of a successful Sales Representative, honesty, integrity, tenacity, empathy, vision, and intelligence, all wrapped in to a delightful, energetic and inviting package that always has a warn smile to offer. We are writing this letter to share the wonderful experience we had buying our first home, thanks to Wilma. It was by chance, or we say luck that we ran into Wilma. We were attending an open house one Saturday, just getting our feet wet in the housing market. We were what you call ‘property virgins’, no idea what to look for, no idea what to ask and no realtor, until we met Wilma. Right away, we knew that she was the one for us, she was not pushy and you could tell that she genuinely wanted to help us become familiar and comfortable with buying our first home. It wasn’t long before Wilma started to send us listings and driving us around Saturday Afternoons, Sunday evenings, and whenever we asked for the next while. Wilma, only wanted what was best for us, she took the time to get to know not only the two of us, but also the rest of our family. 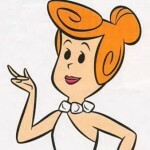 Wilma was always available, always willing to answer any questions. Wilma said right for the start that we would not stop looking until we find our dream house. She holds true to her motto, that she knows when her clients are happy about a house and are truly ready to make an offer. We would like to thank Wilma for her constant support, humour, guidance and honest opinions through our search. We not only have a new house, a great realtor but we also have a new friendship. Congratulations and many thanks on the sale of our home. My husband and I have never met anyone who was more diligent, honest, self-motivated, considerate and caring individual. You looked after us Wilma, every step of the way. You never once let us down. I don’t know of any agent or have ever heard of any agent that had put themselves out there for their clients as you have done. We are extremely impressed with your negotiating skills and pleased with the outcome of sale that you secured for us on our home. This letter is being written to let you know personally on how much you are appreciated and to thank you personally for going so many extra miles you’re just amazing. We are recommending you highly to others and will continue to do so. Thank you for the efficient manner in which you quickly sold our home, after being first listed with another agent for nearly five months. As a retired lawyer who has worked in four different parts of Canada, over a period of thirty years, I wish to compliment you for your unusual integrity, and for your negotiating skills which literally sealed the sale! Rhonda and I will be recommending you highly to others. I wanted to drop you a quick note to let you know that I’m happily settling into my new home. I also wanted to convey my deepest and sincere gratitude for all of your hard work and dedication in finding me a house. I am so happy with the home as well as the neighbourhood. Having bought / sold numerous homes in the past, I want you to know that you are a rare gem in the industry! In closing thank you for a job well done! Me and my family wanted to extend our sincere thanks for all the help you have provided and the support you have offered in a very difficult time. When we initially met we were having extreme difficulty finding a home suitable for our blended family. We were so pleased that you ‘zoned’ in on one particular property and worked with us and the other party to seal the deal. Of the many agents we had dealt with you were the only one to take the time and really listened and understood our needs. Sure enough we fell in love with the property you showed us; it was perfect! And after a very long night of tough mediation and back and forth you made it happen! Me and my family were so pleased but also concerned as we had a very short window to sell my existing home, then again you stepped in to offer assistance. You very swiftly jumped to action, the way only a true professional can and made arrangements to sell my home, while minimizing the impact to my family that was still living there. You were with me through all the tears and stressful moments never leaving my side and always offering your support, 10 short days later my home was sold and we were moving on to start the next chapter in our lives. We are writing to thank you for the fantastic real estate services you have provided us, both as we bought a new home and sold our current one. At our first meeting we were immediately impressed with your professionalism, enthusiasm, straightforward manner, and wealth of experience and services you presented to us. It was an enjoyable experience to go house-hunting with you. You advised us well as we were looking. When we found the house we were hoping for, you put together and presented an offer that the sellers accepted immediately. We couldn’t have asked for more. As we prepared to sell our current home, you proposed an ambitious, well thought-out plan in terms of timing, presentation, and pricing of the house. You followed through with what you had proposed until the end of the process and, once again, you advised is well. Your evident knowledge and experience were extremely valuable to us, and we appreciated your encouragement and positive attitude along the way. You obviously had worked hard behind the scenes prior to our house being listed. To say that there was a ‘frenzy’ once the sign went on the lawn would be an understatement. Agents and their clients were booking appointments constantly throughout the day, and by mid-afternoon two offers had already been registered. Still, you didn’t sit back and let events unfold. You were on the phone working hard to get as many offered as possible in the professional, upfront manner in which you always presented yourself. Within 24 hours of the house being listed, we had four offers on the table. After some negotiating and, again, your excellent advice, we were able to accept an unconditional offer for over 105% of our asking price with a closing date of our choice. Who would dream of asking for more? We have been blessed in our relationship with you – as a real estate agent and new found friend – and would recommend you to anyone, anytime. Thank you again for everything. It was our good fortune to meet Wilma Fournier. She has been more than just a real estate agent to us. Months in advance of the sale of our house she provided us valuable advice, insight and services to prepare our house for sale. We found Wilma to be extremely professional, supportive and readily available during what can potentially be a very stressful time. We truly believe that due to her advice our house sold very quickly at virtually list price. She proved to be just as professional during our buying process, again giving support and insight plus offering a vast array of homes to view prior to making our final buying decision. We would strongly recommend Wilma to anyone in their quest for a real estate agent. She is a true credit to her profession. We wanted to take this opportunity to thank you for all of your efforts surrounding the recent sale of our home on Grand Blvd in Oakville. The process went quickly and professionally, largely due to the work you put into the marketing and selling of the property. On top of it all, we sold for more than we thought we would! When we first met, we established a solid relationship right away. We appreciated your energy, honestly and forthrightness. We listened to your advice, but you also listened to our thoughts and concerns. We had a good discussion about list price. After we all agreed on what our marketing plan would be, you did not let us down. While we put considerably effort into making our home ready for sale by painting, adding hardwood flooring, and changing light fixtures, you did your part getting the market ready for what we had for sale. We worked well together decorating and presenting the house. The listing and marketing literature was great, and the resulting number of appointments made by potential buyers was way more than could be expected over a relatively short period. The sale of our home worked our far better than anticipated. Many of the competing homes in the area had been on the market for several weeks, had few appointments and had begun the agonizing process of dropping their list price. We sold for 3% higher than our list price, and you made it happen in 6 days! Who could ask for more? We would not hesitate to recommend you to anybody who is contemplating the sale of their home in Oakville, and we would be more than happy to work with you in the future. We recently purchased a beautiful home in Oakville with the assistance of our real estate agent, Wilma Fournier. Wilma was very dedicated to us in representing our best interests in the transaction. Wilma is honest and exceedingly generous with her time, for example, she assisted with the house inspection, finding a local lawyer and providing contacts for mortgage advice. Our home sold for 114% of list price in one week! To whom it may concern, my wife and I used Wilma Fournier and her “Red Door Service” as our real estate agent for the sale of our home. Based on our past experience we expected a frustrating exercise, which in fact went incredibly smoothly. We have bought and sold a number of properties and can honestly say Wilma was the best agent we have ever used. In selling our home Wilma used her “Red Door Service”, which is a very creative and practical service that took all the stress out of selling our home and actually made the process very quick and efficient. The result was Wilma created a huge demand for our home and ended up selling it for 114% of list price which obviously delighted us! We would have no reservations in recommending Wilma and her Red Door Service to anyone looking to engage a first class agent to get the very best possible results.